The Vergers Voice: On the way to St. Louis! On the way to St. Louis! 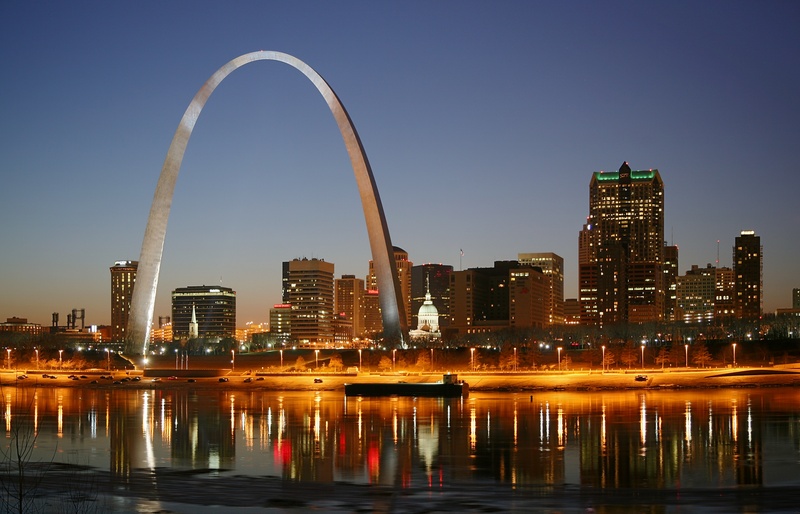 In our last blog post before the 27th Annual Conference (#VGEC27), we asked some of our members about what their journey to St. Louis is going to look like. We will also be taking a quick peek at what our online presence will look like for those unable to attend. "I actually get a leisurely start to my travel day on Wednesday," quips Board member Michael Sanchez. "Typically, I prefer to take red eye flights, but it just so happened that the flight options have me leaving Portland International Airport in the late morning." That's where the leisure ends, though. "I'll get in just after 11:00 p.m. that night. It'll be a long day and an early morning, but I love it. The conferences always are such an invigorating experience that I'll hardly notice my lack of sleep... that is, until I get back home!" VGEC member David Barr is flying from Denver International Airport. He comes to us having had a busy week: several church services during the week, acolyte training (with 50 people), the first meeting of the Colorado Chapter of the VGEC, a funeral, and a planning of a Pontifical Mass for the Society of Catholic Priests. He's thrilled to be joining us in St. Louis, but we hope he gets a quick nap on the flight over. VGEC President, Scott Smith, will be flying with our Chaplain, the Rev. Matthew Corkern, from Newark Liberty International Airport. But those plans were in danger of falling through. According to Scott, "Matthew had some health concerns that almost caused us to drive, but thanks be to God he is feeling better! That drive from Summit, NJ to St. Louis, MO is about 14 hours. Let's pray for the continued health of our chaplain!!!" When asked about his travel plans, VGEC member John Montreville Denton says, "I am excited to be taking a MegaBus for the first time! After a little research, this is the easiest way to get to the conference from Memphis without having to pay for valet parking. Better yet, the bus stop in St. Louis is just around the corner from the hotel! I can't wait to see everyone next Thursday!" William H. Gleason (Bill), VGEC President Emeritus, is driving from Denver to St. Louis. That's an 851 mile, 12 hour drive. He will be stopping in Kansas City / Overland Park KS area overnight. He likes to drive, as can be attested to, from Bill and his wife Helen's earlier trip this spring: 7300+ miles from Denver to Nashville to New England and back to Denver in 3 weeks; and then he and Scott Smith driving from Denver to Salt Lake City for the 78th General Convention of the Episcopal Church. Scott, Michael, Matthew, and Board member Terry Hughes, and several others will be taking the MetroLink light rail from Lambert - St. Louis International Airport to their hotel. Scott says, "Matthew and I will absolutely catch the Metro from the airport to Union Station, as it's incredibly inexpensive and a really nice way to go." Terry adds, "MetroLink costs $2.50 for a regular fare and $1.25 for seniors. Just follow the signs as you are exiting the airport. You are getting off at Union Station. It's just a 5 minute walk from the station through indoor mall connected to the hotel." Speaking of the hotels, keep in mind that the conference hotel is the St. Louis Union Station (a DoubleTree by Hilton hotel). This is where most of our sessions are taking place (see conference agenda for more details). However, there were several attendees that weren't able to secure a room at the conference hotel. Board member Cheryl Cantrall explains, "We will be staying at the Drury Inn Union Station across from the conference hotel as there was 'no room in the inn' for us." Vergers are taking over two hotels—we hope St. Louis is ready for us! As you can see, we are all literally coming into St. Louis by plane, train, and automobiles! However you're getting there, be ready for a few days of sessions, fellowship, and all things verger. We know everyone can't make it for a variety of reasons, so the Communications and Technology Committee will be working hard to make sure you can still feel like you're a part of the action. "What's nice about our conference coverage is that we're going to be on overtime on Facebook and our Verger's Voice blog. This helps us to keep a digital record of our conference, but also helps to include those who aren't able to be there with us," says Michael Sanchez, Communications and Technology Board Liaison. "The better our team can show the folks at home what we're doing, the better record we have of this conference. It's a win-win for everyone." We plan on there being a lot more Facebook activity! Michael goes on, "Pictures are how we can best show what's going on at any given moment during the Annual Conference, and we plan on posting lots of them. "Another thing we're excited about is using hashtags for all our social media posts this year. If you're on Facebook, when you are on your newsfeed, you can type in #VGEC27 into the search bar and see all the posts on Facebook that have #VGEC27 attached them. It's a cool way to find something quickly, and with everyone posting #VGEC27 on Facebook, you'll be able to see all the VGEC official posts as well as posts from individual members. This will be our most high tech conference yet, and we hope that everybody with a smartphone will join in on the fun!" New to all this hashtag business? Not a problem. Come find Michael during the conference and he'll get you all caught up. Be on the lookout for special Vergers Voice articles, too. For those who enjoy reading more detail, this is where we can get more in-depth into the conference goings on. Keep checking the Verger's Voice for hot-off-the-presses articles about this year's Annual Conference. We're just six days away from our Annual Conference. However you're getting there, we offer our prayers for safe travels. We're excited to see you for the biggest verger event of the year! You still have time to click the big red button to register for the 2015 Annual Conference opening on October 1st and running through noon on the 4th, in St. Louis, Missouri. Abstract: As we prepare to descend into St. Louis, we examine all the different ways that conference attendees are getting there. We also take a look at how we'll be bringing the conference to those who won't be there with us. Flying in from DC on Wednesday evening and so looking forward to seeing St. Louis and Christ Church Cathedral and its huge organ and beautiful architecture . Canon Pat Partridge does a marvelous job with organ and choir! Looking forward to learning a lot.